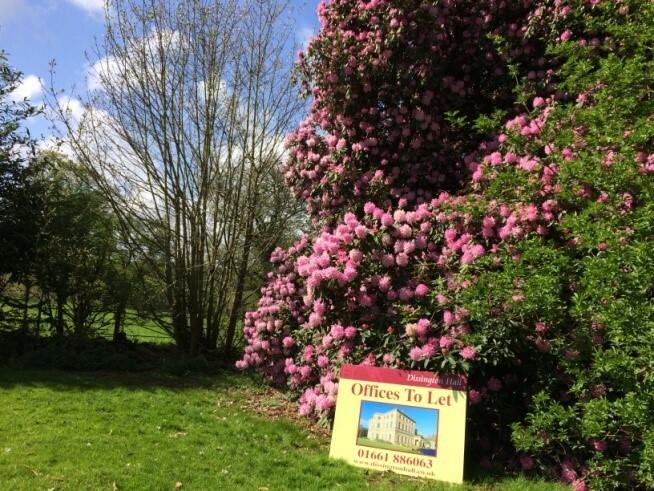 Is this the most picturesque office base in the North East? 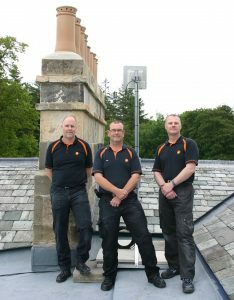 Emerging businesses can set up base in a Georgian country house in Northumberland, with help from property agents. 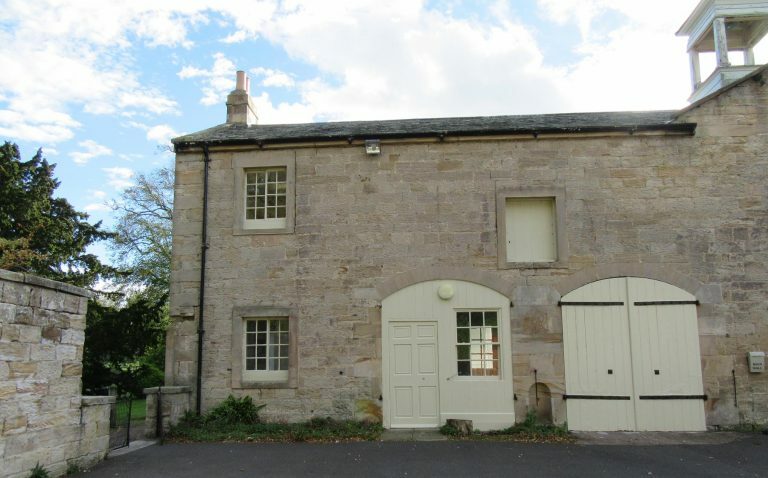 Knight Frank has been appointed sole agent for Dissington Hall Enterprise Hub in Ponteland, following the expansion of office space at the Grade II listed house with a further nine office suites. 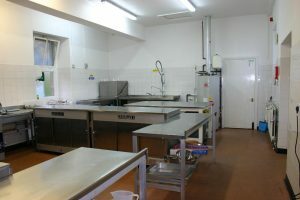 The business hub’s units range from 162 sq ft to 1,074 sq ft, totalling 3,500 sq ft overall. Patrick Matheson, partner, office agency, Knight Frank, says Dissington’s spectacular setting offers a unique and inspiring office space. 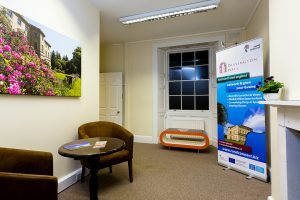 The offices suites have Georgian architectural features overlooking the grounds and parkland and the hub itself it based minutes from the A1M and Newcastle International Airport. He said: “For businesses seeking an individual setting Dissington has a great deal to offer with superfast broadband for all offices, structured CAT 6 building wiring and network equipment give each unit its own secure, private network and IP address. Dissington’s owner, Gill Brown, says the offer for businesses is to join a thriving business community with ample networking opportunities. Business owners Michael and Gill Brown who founded Dissington Hall conference and wedding business back in 1992 have decided to withdraw from the wedding market allowing the Hall to become fully dedicated to its corporate clients. The launch in October this year of a further 9 stunning office units with views over the parkland will help to further establish the Hall as an enterprise hub. This week DEFRA will be visiting North East Business Hubs including Dissington Hall to see how the RGN (Rural Growth Network) funding has been used to produce the new workspace, 2 of the new spaces are pre-let to small start-up businesses. Michael and Gill paid tribute to their fantastic team who continue to deliver excellent weddings and events at the hall. They still hope to win the Best Wedding Venue Award for which they have been shortlisted in the last 3 years. The Brown family will continue to own Dissington hall as they have done since 1968. Office space available to let within the new Dissington Hall Enterprise Hub. From the beginning of October 2014 additional offices will become available. 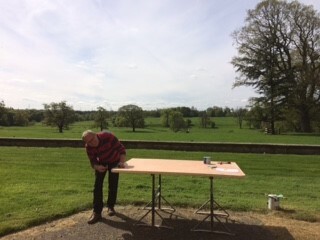 The Offices are on the top floor of the hall and have fantastic views over the parkland. Please contact Gill Brown on 01661 886063.